To some, driving in Scotland (outside the cities) is second nature. Single track roads are taken adeptly, they worry not about the sheer drop into the valley below as they wind up a mountain, and when confronted by a surprise steep incline they calmy drop to first, keep a steady speed and reach the top without so much as a shriek. This is not me. I am a city dweller: I know where I am with traffic jams, roundabouts and speed bumps. But out on the open road I feel a little, well alone. No other cars to help me anticipate the road ahead, and the fear that should I stall at 90 degrees I’ll be on my own for a very long time indeed. Of course, my fear is only slightly based on reality. You do come across other cars driving in Scotland and I’m a safe driver, but I have a vivid imagination. 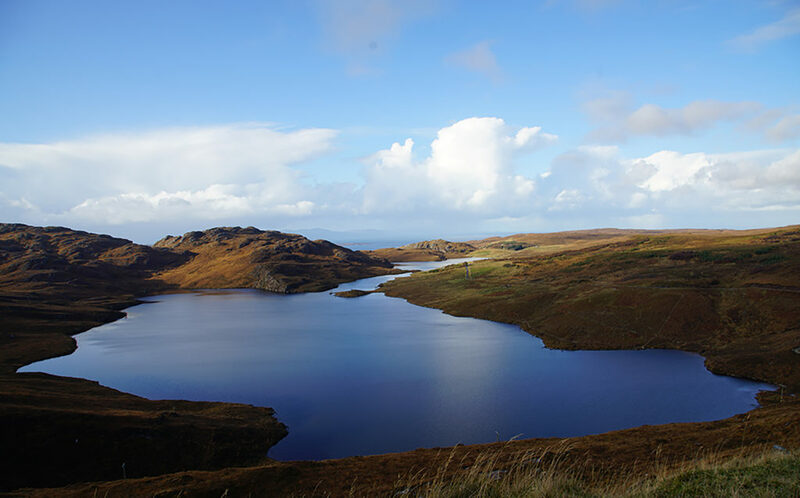 So with the unnerving chuckle of the man in the bar from the previous night still taunting me, my friend and I set off on the short, beautiful, but at times treacherous drive to Lower Diabaig. From Torridon village, where walkers often park up before they begin their ascent of the twin peaks (or horns) of Beinn Alligin, the road to Diabaig climbs inland. At first it skirts Upper Loch Torridon, before snaking further away from the coast. I was just getting used to the narrow roads, bumps that hide the route ahead, and even the hairpin bends, when a particularly sharp one of the latter revealed an unexpectedly steep hill. There was nothing for it. I screamed, shouted some panic-driven obscenities, awkwardly moved down to first gear and floored the accelerator, all the while willing the car to make it up. It did. Just. I was still shaking with relief when we reached the viewpoint over the loch below. What a scene: a mass of sapphire water framed by grassy moorland and not another soul to be seen. This is what Scottish travel is all about. From here the descent into the tiny harbour hamlet of Lower Diabaig was relatively stress-free. Admittedly my friend and I strategised to ensure our safe return to Torridon (by then I was a single-track pro). 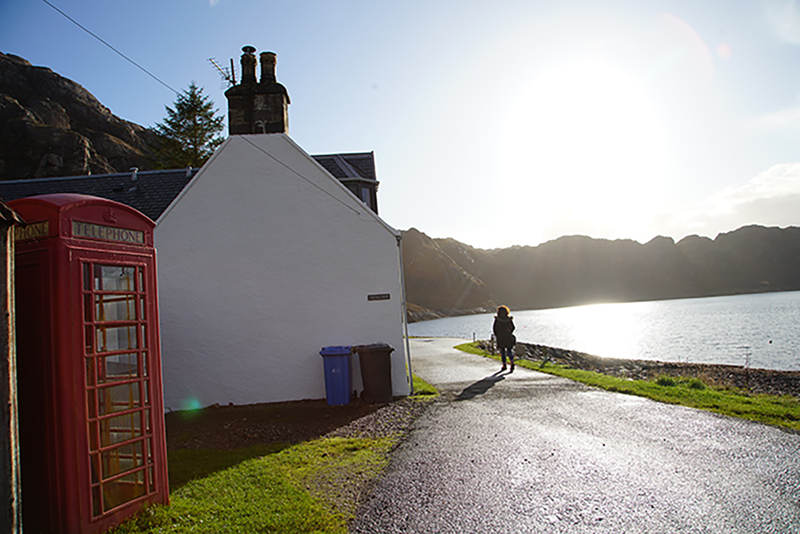 Lower Diabaig is little more than a clutch of cottages, a red telephone box, a pier and a cafe/restaurant. But it is a calming, pretty spot and one that I plan to revisit. Now that I know what to expect, the drive there will be a breeze.